Welcome to A Sampling Bee! 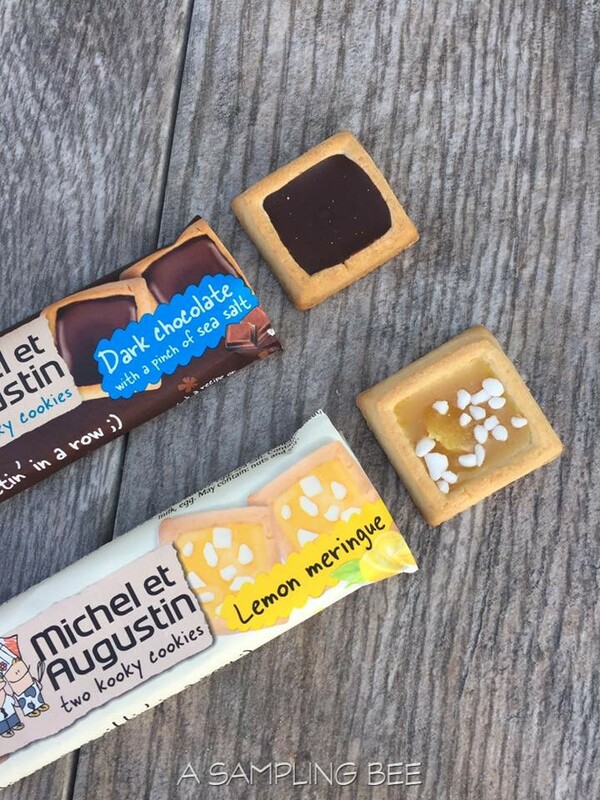 Today, I share with you yummy snacks from Michel et Augustin! This company was created in 2004 by Michel and Augustin. They went to work in their small kitchen apartment tasting and testing more than 300 different recipes. 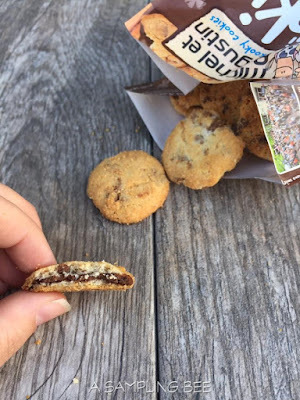 It was in that small kitchen where their first cookie was made: the round Butter Cookie! This was only the beginning. 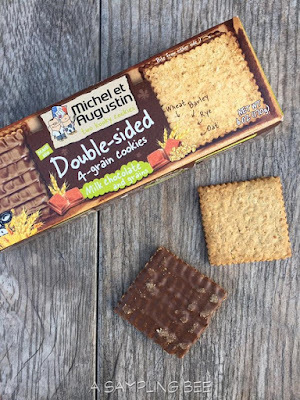 Now, Michel et Augustin have many awesome products. 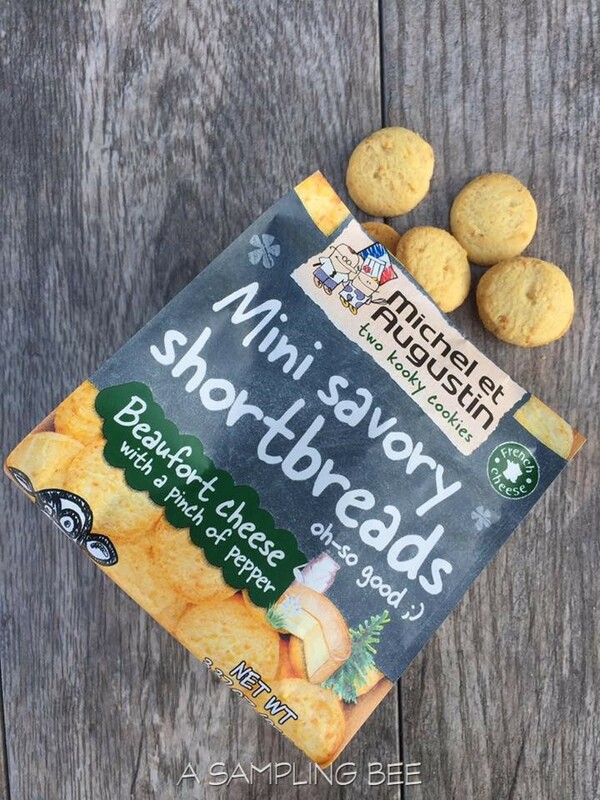 I got to sample a few of their yummy products: Mini Cookies with Melty(Hazelnut) Middle, Double-sided Square Cookies, Milk Chocolate Cookie Squares, Lemon Meringue Cookie Squares and Mini Savory Shortbreads in Beaufort Cheese flavor. All of these products are awesome. I can tell that they are made with love. 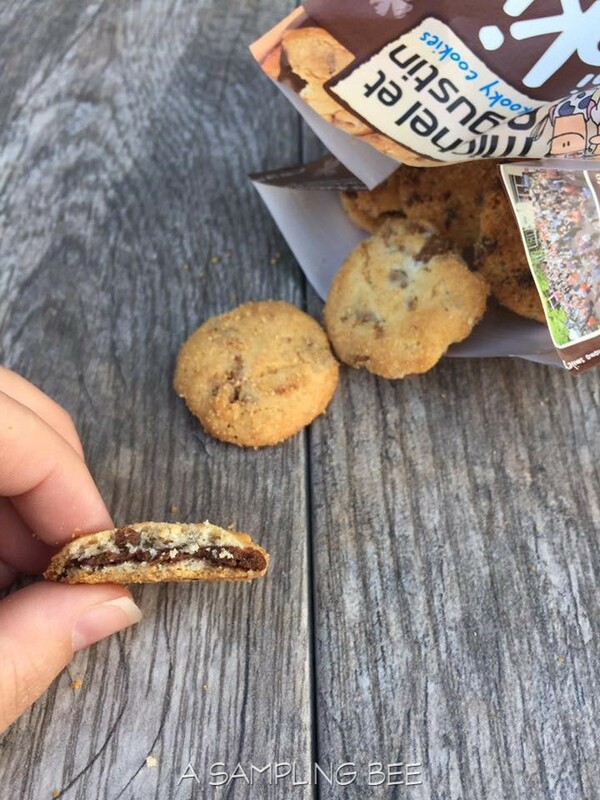 The thought and detail that went into making such an awesome snack is truly amazing. 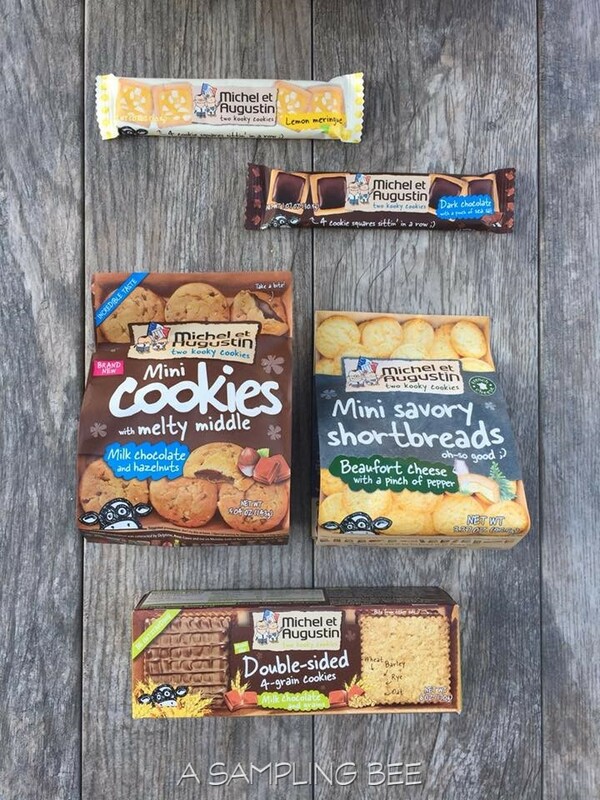 Out of the five products that I got to try, I'd have to say that the Milk Chocolate Cookie Squares were my favorite. 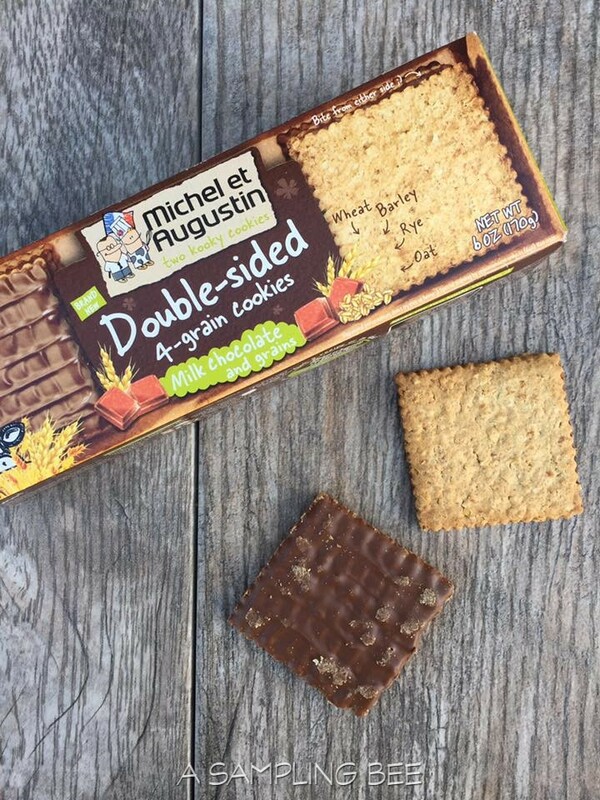 The 4-grain on one side and the milk chocolate on the other side just go so well together. Perfect for my sweet tooth. The whole family enjoys them, too! I received Michel et Augustin products in exchange for my honest review. All opinions are my own. Always!